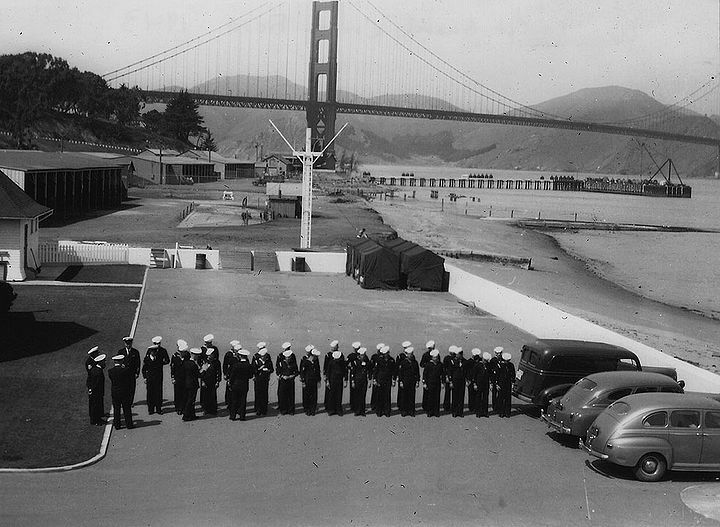 The U.S. Coast Guard mustering for duty in 1943 at Crissy Field, Frank Alioto among them. 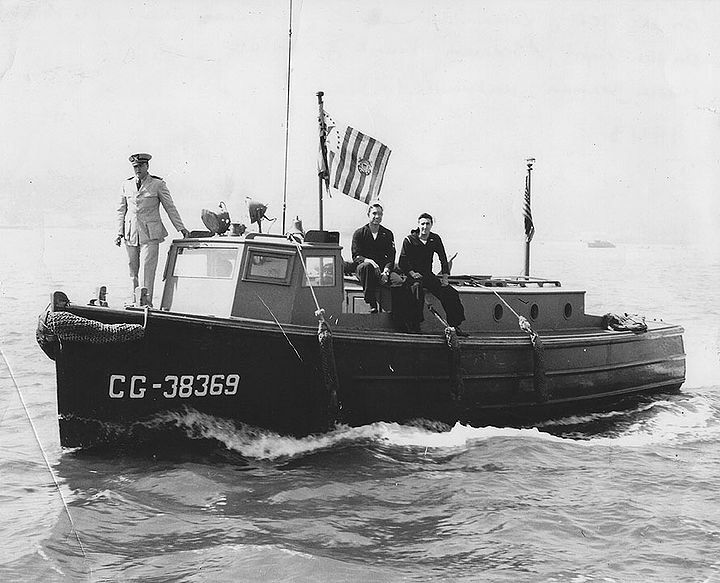 Frank Alioto sits with fellow crew member, commander at bow of Coast Guard cutter, during WWII on San Francisco Bay. 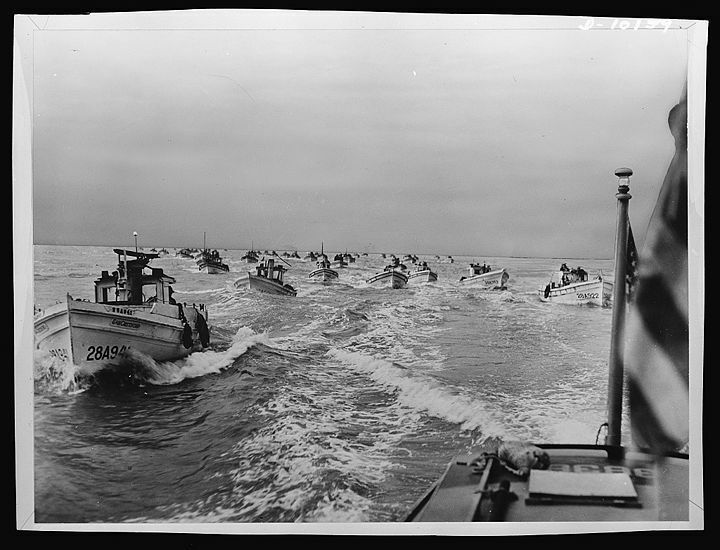 Coast Guard motor lifeboat escorting San Francisco's crab fishermen during WWII. 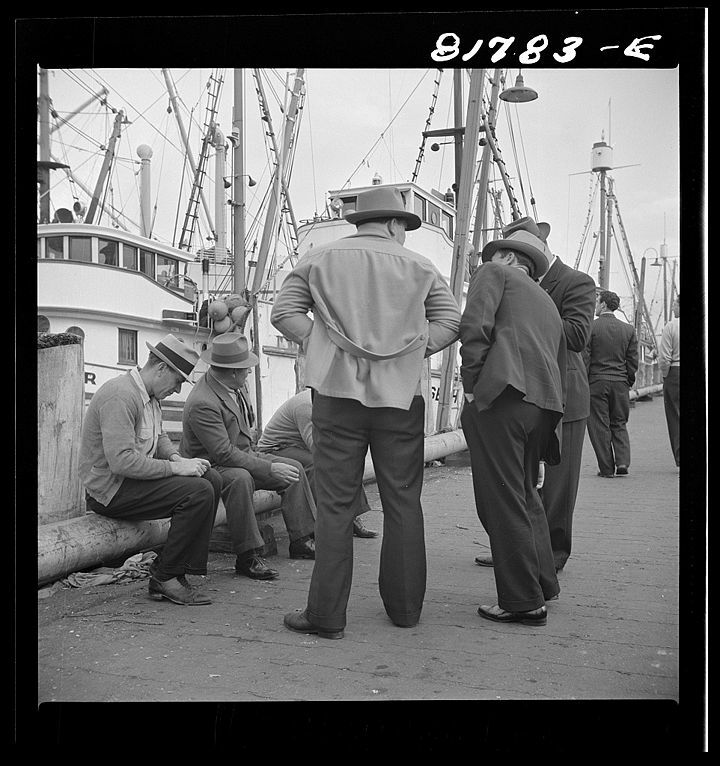 Italian fishermen gathered on Fishermen's Wharf, December 1941. "I was not the only son who came home from the war to find that their parents, or other members of their family, had suddenly become enemy aliens. 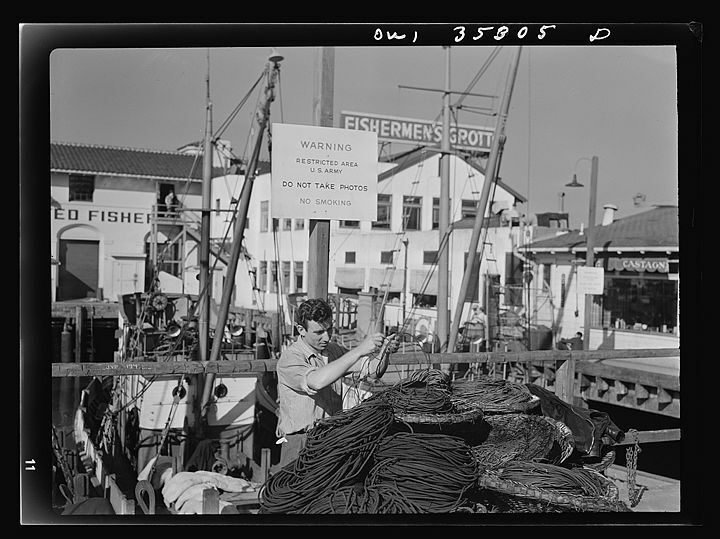 I remember my father was forbidden from fishing or even visiting his friends at the wharf because it was in a prohibited zone. I do not know the extent, but I am sure my father was changed after his experience as an enemy alien. The number of people affected by these events will never be known and the effect on the Italian American community can never be measured." (excerpted from testimony, US Senate Judiciary Committee, Oct. 25, 1999). 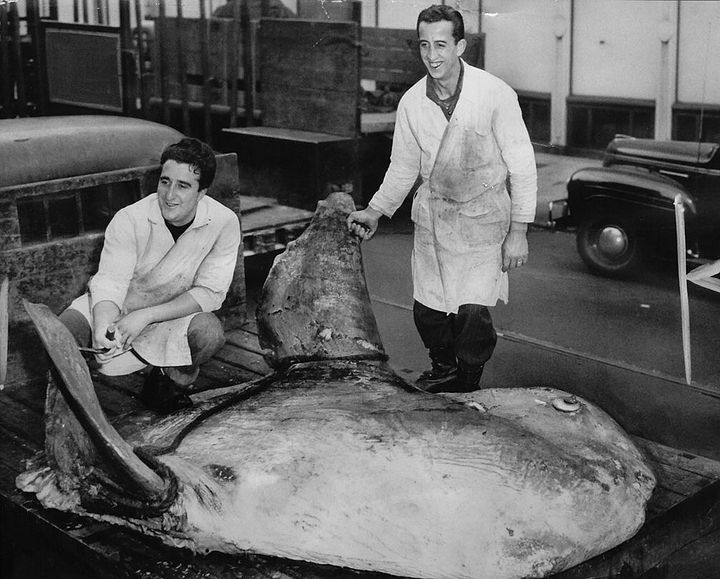 Before WWII during the late 1930s, Frank Alioto (squatting at left) and a coworker were photographed with this huge sunfish. 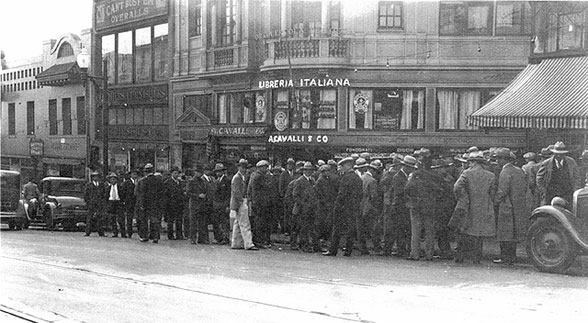 Italian Americans listen to Italian radio broadcasts of fascist Benito Mussolini on Columbus and Broadway, early 1930s.